The external advisory board provides strategic advice on important department matters. The members of our advisory board are proven industry leaders within the civil and environment engineering field. William F. Baker is a Structural Engineering Partner for Skidmore, Owings & Merrill, LLP, where he strives to extend the profession of structural engineering through design, research, teaching, and professional activities. A particular focus of Baker’s work is the design and engineering of supertall towers. He led the development of the “buttressed core” structural system for the Burj Khalifa, the world’s tallest manmade structure. Sofia Berger is the Vice President of Latin American and Caribbean Operations at Louis Berger. She is responsible for the strategic direction of the regional operation to build on the current foundation and grow all of the company's services within the region. Additionally, she is responsible for client management, program delivery and business development activities in the region. Sofia joined Louis Berger in 2012 to lead the private sector development in the Africa division. Sofia received her Bachelor's Degree in Civil Engineering and Economics-Operations from Columbia University and a Masters in Business Administration from Harvard Business School. Dr. Carole Braverman is the Regional Science Liaison to EPA’s Office of Research and Development with U.S. Environmental Protection Agency’s Region 5 Office in Chicago, Illinois. She also serves as regional science advisor. Her areas of responsibility include management of regional environmental research programs, facilitation of science communication between the regional office and EPA Headquarters, and identification of science needs for research planning. She co-chairs the Regional Science and Technology Council and represents the Region on EPA’s Science and Technology Policy Council Steering Committee. Dr. Braverman has a Bachelor of Science degree in microbiology from University of Michigan and PhD in experimental pathology from Northwestern University. Joseph G. Burns is the Managing Principal at Thornton Tomasetti. He oversees the firm’s operations in the Middle East, Europe, Brazil and India. He has more than 35 years of experience and specializes in the design of complex structural systems, including earthquake engineering and dynamic analysis. As a well-known innovator, Joseph received recognition for the pioneering use of Tekla modeling in the redevelopment of Chicago’s Soldier Field in the late 1990s. Joseph earned his Bachelor’s in Architecture from the University of Notre Dame. He earned his M.S. in Architecture and his M.S. in Civil Engineering from MIT. He has taught at the University of Illinois at Chicago, Illinois Institute of Technology, University of Maryland and University of Washington, among others. Michael N. Goodkind retired from Alfred Benesch & Company in 2013 after 37 years with firm. He served as president of the company from 1990 through 2008. While with Benesch he managed multi-disciplinary transportation projects and facilitated over 50 Value Engineering studies. In addition to the External Advisory Board, Mr. Goodkind is also a member of the Board of Overseers of the Rutgers University Foundation and a member of the Industrial Advisory for the School of Engineering at Rutgers University. Mr. Goodkind has a B.S. in Civil Engineering from Rutgers University, a Ph.D. in Structural Engineering from Northwestern University and an M.B.A. from the University of Chicago. Isaam Khoury is the Vice President of NSCC International. Issam joined NSCC International at the start of his career in 1993. NSCC International is a specialized contractor in the field of foundation engineering, ground improvement, onshore marine works, and horizontal directional drilling (HDD). He is responsible for regional revenue generation and overseeing NSCC's HDD Division, Project Delivery, Plant in the GCC and Levant areas. He holds a bachelor of science degree in Civil Engineering from Northwestern University. Dr. Kudder is a Principal with Raths, Raths & Johnson, Inc. His career encompasses structural engineering, evaluations and testing, and structural repairs. He is also a nationally recognized consultant on exterior wall leakage and condensation performance problems and has undertaken many exterior wall investigations, tests and repairs. He served as Chairman of the ASTM E06.55.15 taskgroup which developed a standard for the evaluation of building wall leakage. He has participated in and chaired international symposia of building wall performance issues, as well as published and presented seminars on the topic. Dr. Kudder has a Bachelor of Engineering from The Cooper Union in New York, and an M.S. and Ph.D. in Structural Engineering from Northwestern University. 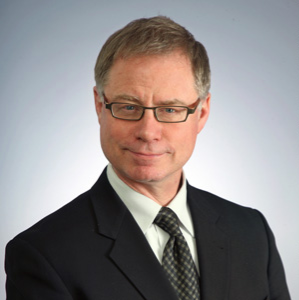 Since January, 2018, Mr. Mark Lillie has served as the Chief Counsel of the Federal Highway Administration, an operating mode of the U.S. Department of Transportation in Washington, D.C.
Mr. Lillie is a partner with the Kirkland & Ellis law firm in Chicago, where he has practiced commercial litigation since 1984. He regularly represents clients such as ExxonMobil, BP, Dow Chemical, General Motors and 3M in a wide variety of commercial and environmental matters. Mr. Lillie graduated from Northwestern University in 1981 with a degree in Environmental Engineering and earned his law degree from the University of Denver in 1984. He is active in the Northwestern University Leadership Council, and serves on various non-profit boards and professional committees. Mark lives in Wheaton, IL, with his wife Celine and their two children. 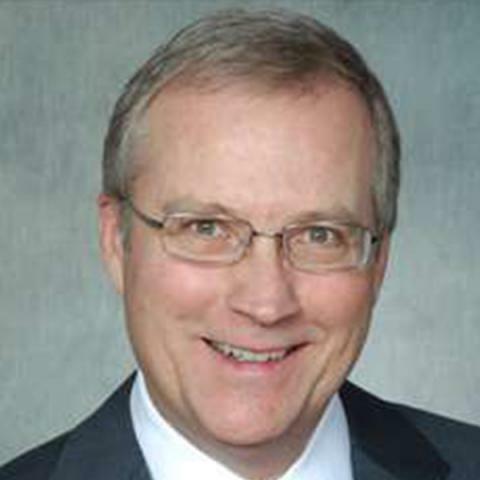 Daniel Maguire is well known as a construction industry executive, civic leader, and educator in the Chicago area. He is credited with establishing a new standard for quality and for professionalism for companies doing interior building construction and small project construction in the greater Chicago area, and for developing and managing successful construction organizations over a period of 25 years. As Vice Chairman and former President and Chief Executive Officer, he has built Executive Construction Inc. (ECI) into a leading midsize building contractor in Chicago. Revenues have increased twenty-fold to $160 million since the firm was acquired in 1994. The firm has an enviable reputation for quality and performance, while serving prestige clients in the corporate and institutional market sectors. Dr. O'Connor is in her 17th year of service with the Metropolitan Water Reclamation District of Greater Chicago. Prior to joining the District, she spent 13 years working at Eastman Kodak Company in various engineering roles. Her career at the District has included positions as Associate Environmental Engineer, Senior Civil Engineer, Research Scientist IV, Assistant Director of Monitoring and Research, managing the Environmental Monitoring and Research Division, and currently as Director of Engineering. Carol Post is a principal with Thornton Tomasetti and is the leader of the firm's higher education market sector, quality assurance/quality control committee and the standards committee. She joined Thornton Tomasetti in 1997 and has 30 years of structural engineering experience. Her credits span a spectrum of projects including education, healthcare, residential, commercial, and cultural facilities. Kristin Rehg is a Utilities Management Analyst with the City of Evanston Utilities Department, which operates the second largest water treatment and supply system in Illinois. 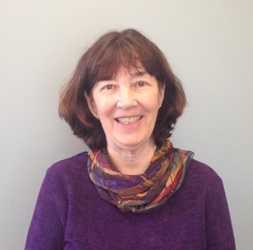 Her work includes water/sewer cost of service analysis for Evanston’s retail and wholesale customers, capital improvement planning, design and project management for public improvement projects, and public outreach and education initiatives on water conservation and infrastructure issues. Mr. Riemer is the Executive Vice President and General Manager of the Lend Lease Great Lakes Region. He is a Registered Professional Engineer with more than 40 years of experience in the construction industry. In his current role, Jeff brings a high level of experience and knowledge in providing a full range of preconstruction and construction services to his clients, possessing wide experience in both renovation and new construction of office buildings, residential facilities, school campuses, research facilities, airport terminals, medical buildings, mixed-use complexes, and retail facilities. Thomas (T.J.) Ross has held the position of Executive Director of Pace Suburban Bus since 1998. Pace is responsible for public transit service for the eight million residents of northeastern Illinois that includes regional ADA paratransit service, suburban fixed route bus service, regional vanpool services, regional carpooling services, and suburban dial-a-ride services. Pace employs more than 2,500 people directly, or through private contractors, using a fleet of more than 2,500 vehicles that range in size from compact sedans to heavy duty transit buses. In 1997, Leif founded RISE International, which became a recognized leader in program and project management services across the U.S. and internationally. In 2010, RISE, a 250-person professional program management consulting company, was acquired by ARCADIS, a Dutch publically traded global engineering and management consulting company. Mr. Selkregg lead the successful integration of RISE into ARCADIS and served in leadership roles in building an ARCADIS global program management capability and launching a built asset consultancy practice in the US. Richard H. Tilghman is the Senior Vice President of New Business Development at the Pepper Construction Group. Rich received a Civil Engineering Degree from the University of Notre Dame in 1971, and a Master’s Degree in Civil Engineering with a concentration in Environmental Engineering from Northwestern University in 1973. He has more than 20 years of project management experience and is a Professional Engineer in the State of Illinois.